54 July the 5 1735 There was a terebel night of thunder and lightning. Then dark and cloudy was the skie thunder did roar and lightning flie which made our earthly dwellings [illegible] and we poor mortals for to quake. 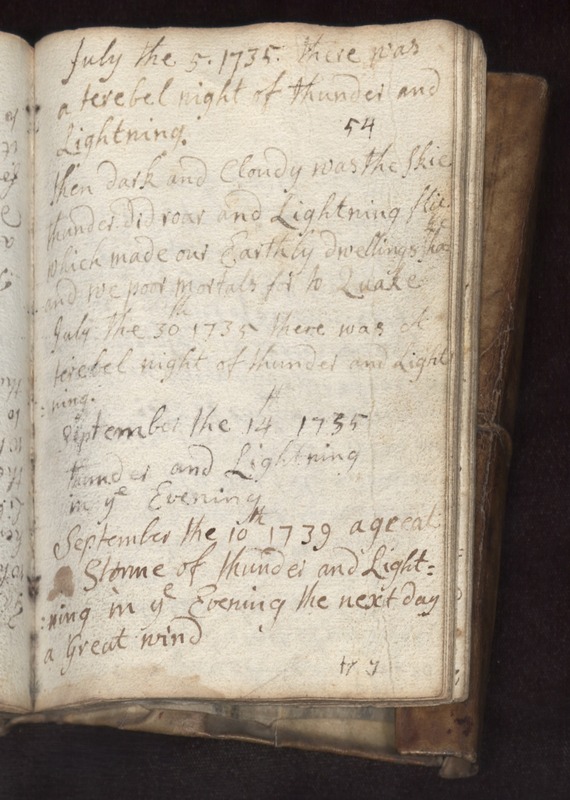 July the 30th 1735 there was a tereble night of thunder and lightning. Septembe the 14th 1735 thunder and lightning in ye evening. September the 10th 1739 a great storme of thunder and lightning in ye evening the next day a great wind.